Last week I posted a new pattern to my Ravelry store. It's been just over a year since I submitted the last one, but I've been bitten by the designing bug again. 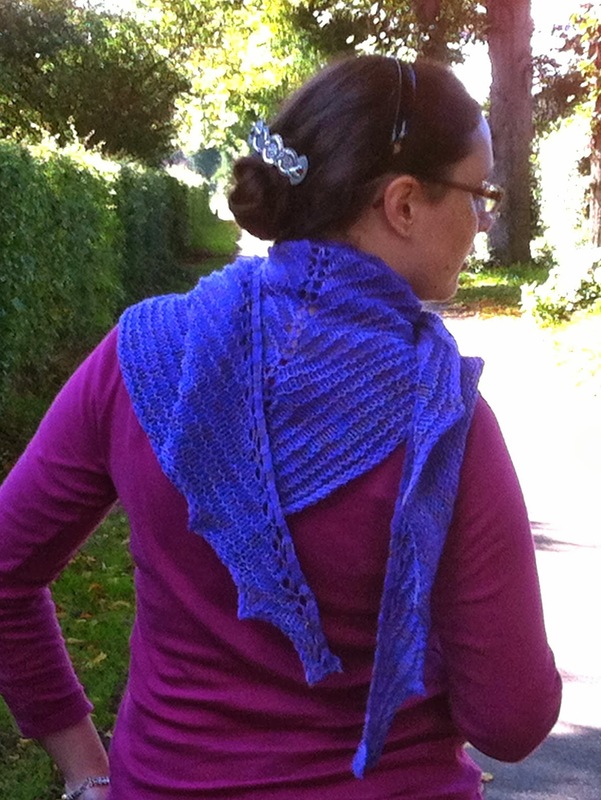 I knitted the sample of the Hugs By Post shawl to send to E's mum in just less than five days. It's a quick little knit, especially given that I wasn't particularly focussed on it. The yarn came from an LSG swap and G took the photos of the sample for me.